As this this year is drawing quickly to a close, with the November Elections looming, and the end of another school semester coming to an end, we must keep our eyes on the goal. Life avails many opportunities to get distracted with everyday life and the challenges they provide. These distractions and challenges can leave us distraught, angry, saddened, and ultimately off track. ALL of us need a re-calibration, refresh, or renewal of our short term and long term goals. No matter whether you have just started your homeschool journey, or you are a seasoned homeschooler, we all need encouragement in our new life goals or a reminder on why we begun this journey in the first place. These needs are not met when the new homeschoolers are not in the presence of the seasoned homeschooler to get encouragement and guidance, and the seasoned homeschoolers don’t avail themselves to new homeschoolers, reminding them of why they are homeschooling in the first place. It is a healthy reminder to us all that, no one is an island to themselves. All our life’s actions or in-actions inevitably affect the lives of others, positively or negatively. My encouragement this month is to seek out to make sacrifices of time and resources to make someone’s homeschooling journey better. This challenge goes out to both the new and seasoned homeschooler alike. As the planning of ENOCH’s 2017 Homeschool Conference (Saturday April 22 2017 @ Brookdale Community College, Lincroft, NJ) is in the making, I encourage you both to make an intentional effort to be in attendance. Come to encourage and be encouraged. We are excited to have Vicki Bentley, from HSLDA, as our Keynote speaker. Vicki Bentley is the mother of eight daughters, foster mom of over 50, and grandma to 20 wonderful grand-babies (so far). Vicki has homeschooled 17 children since 1988, alongside her husband Jim, and led a local support group of over 250 families for 14 years. She has served on the executive board and convention committee of the Home Educators Association of Virginia and has addressed state and national conventions, university teacher organizations, and many mothers’ groups. She is the author of My Homeschool Planner, Everyday Cooking, The Everyday Family Chore System, Home Education 101: A Mentoring Program for New Homeschoolers, High School 101: Blueprint for Success, and other homeschool and homemaking helps, and coordinates HSLDA’s Toddlers to Tweens and Group Services programs. Vicki has a heart for moms, with practical wisdom and encouraging words. Please stay tuned in the months to come, as we inform you of our workshop speakers, and vendors that will be in at the 2017 conference. Let us be intentional in making ENOCH’s 2017 Homeschool Conference a success to every homeschooling family in New Jersey. Thanking you in advance for your part in making the 2017 Conference AMAZING for all. Check out our below sites to remain connected with ENOCH and be aware of what is occurring statewide. 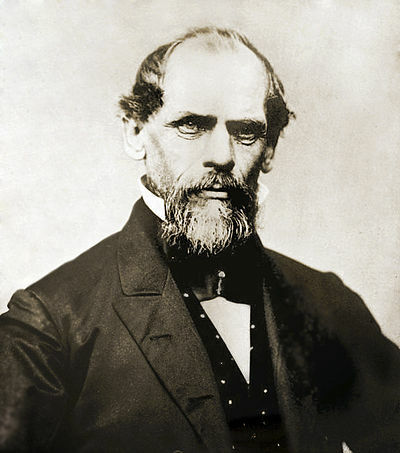 In 1883, a creative engineer named John Roebling was inspired by an idea to build a spectacular bridge connecting New York with Long Island. However bridge building experts throughout the world thought that this was an impossible feat and told Roebling to forget the idea. It just could not be done. It was not practical. It had never been done before. Roebling could not ignore the vision he had in his mind of this bridge. He thought about it all the time and he knew deep in his heart that it could be done. He just had to share the dream with someone else. After much discussion and persuasion he managed to convince his son, Washington, and up and coming engineer, that the bridge in fact could be built. Working together for the first time, the father and son developed concepts of how it could be accomplished and how the obstacles could be overcome. With great excitement and inspiration, and the headiness of a wild challenge before them, they hired their crew and began to build their dream bridge. The project started well, but when it was only a few months underway a tragic accident on the site took the life of John Roebling. Washington was also injured and left with a certain amount of brain damage, which resulted in him not being able to talk or walk. “We told them so.” “Crazy men and their dreams.” “It’s foolish to chase wild visions.” Everyone had a negative comment to make and felt that the project should be scrapped since the Roeblings were the only ones who knew how the bridge could be built. As he lay on his bed in his hospital room, with the sunlight streaming through the windows, a gentle breeze blew the flimsy white curtains apart and he was able to see the sky and the tops of the trees outside for just a moment. It seemed that there was a message for him not to give up. Suddenly an idea hit him. All he could do was move one finger and he decided to make the best use of it. By moving this, he slowly developed a code of communication with his wife. He touched his wife’s arm with that finger, indicating to her that he wanted her to call the engineers again. Then he used the same method of tapping her arm to tell the engineers what to do. It seemed foolish but the project was under way again. For 13 years Washington tapped out his instructions with his finger on his wife’s arm, until the bridge was finally completed. 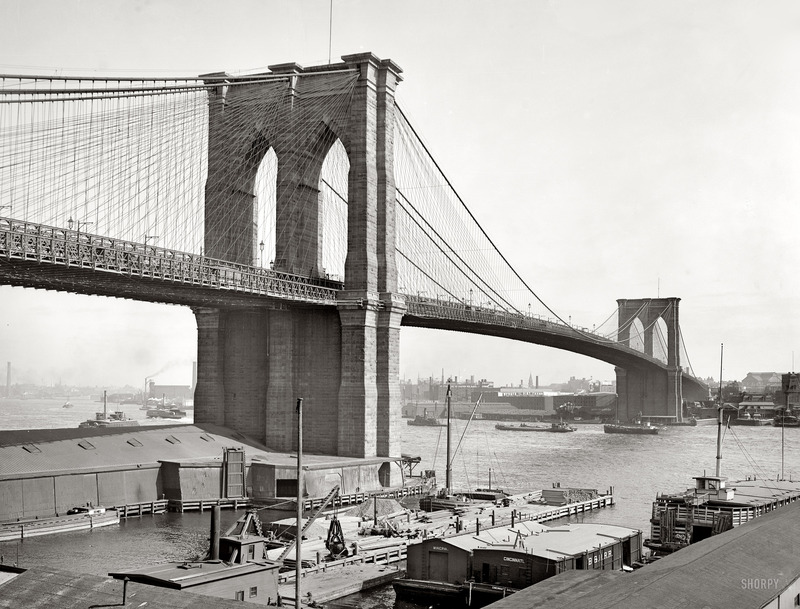 Today the spectacular Brooklyn Bridge stands in all its glory as a tribute to the triumph of one man’s indomitable spirit and his determination not to be defeated by circumstances. It is a tribute to the engineers and their team work, and to their faith in a man who was considered mad by half the world. It stands too as a tangible monument to the love and devotion of his wife who for 13 long years patiently decoded the messages of her husband and told the engineers what to do. Perhaps this is one of the best examples of a never-say-die attitude that overcomes a terrible physical handicap and achieves an impossible goal. Often when we face obstacles in our day-to-day life, our hurdles seem very small in comparison to what many others have to face. The Brooklyn Bridge shows us that dreams that seem impossible can be realized with determination and persistence, no matter what the odds are!